Cooper Island (54°48'S 35°47'W is a small island to the southeast of the main island of South Georgia. 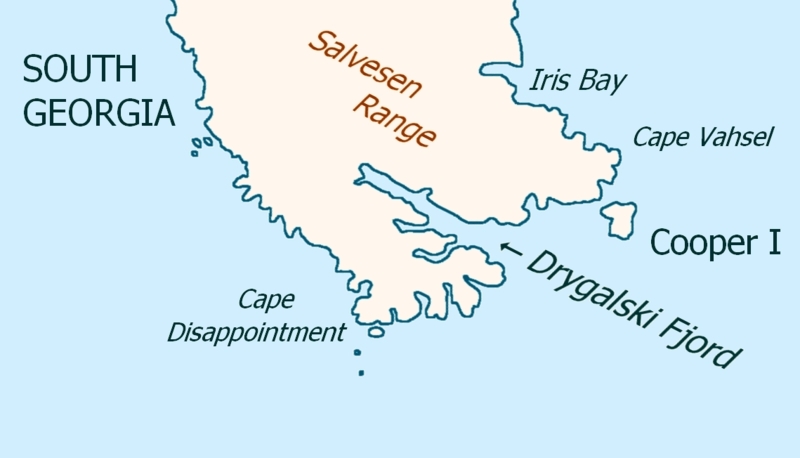 It is 2 miles (3.2 km) long and lies at the north side of the entrance to Drygalski Fjord, off the southeast end of South Georgia. It was discovered by a British expedition under James Cook in 1775, and named for Lieutenant Robert Palliser Cooper, an officer aboard the Resolution. on Cook's 1777 South-Up map. 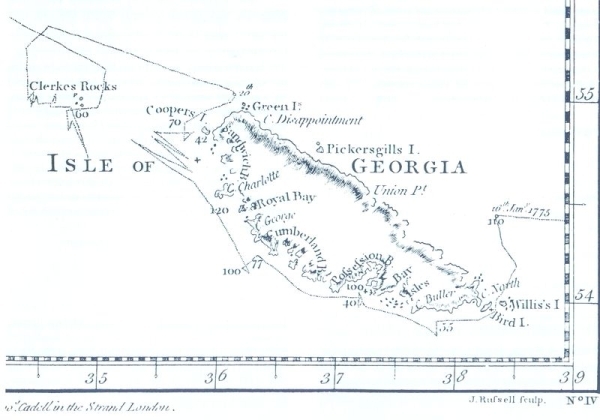 A navigable channel, Cooper Sound, nearly 1 mile (1.6 km) wide, separates Cooper Island from the southeast coast of the main island of South Georgia. 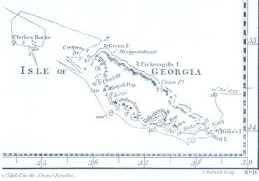 There is a small bay, Cooper bay, 1.3 miles (2.1 km) southwest of Cape Vahsel on the mainland, and 1 mile (1.6 km) northwest of Cooper Island, indenting the southeast end of South Georgia, which derives its name from Cooper Island. It is 416m at its highest point, and the upper parts of the island are above the snow line. As one of a handful of rat-free islands, Cooper Island is South Georgia's only Special Protection Area, it has a great deal of sea birds including snow petrels, Antarctic Prions, 12,000 pairs of black-browed albatrosses, chinstrap penguins and 20,000 macaroni penguins. There are also a number of fur seals and this is one of the few places where they were not hunted by humans. The island is covered in tussock grass. This page was retrieved and condensed from (http://en.wikipedia.org/wiki/Cooper_Island) see Wikipedia, the free encyclopedia, April 2009.